ASCE joined 9 other Asian-region civil engineering organizations to sign the Jakarta Protocol, calling for the civil engineering community to take the lead in delivering sustainable infrastructure in the future. The signing ceremony took place at the Civil Engineering Conference in the Asian Region (CECAR 6), in Jakarta, Indonesia, on August 20. Recognizing the central role that the civil engineering profession and ASCE play in developing sustainable infrastructure and promoting the triple bottom line – economic, social, and environmental – in the U.S. and worldwide, ASCE was a signatory of the Jakarta Protocol, along with 9 other Asian-region civil engineering organizations who together form the Asian Civil Engineering Coordinating Council (ACECC). 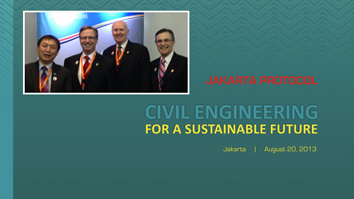 “The signing of the Jakarta Protocol by ASCE and the other members of the Asian Civil Engineering Coordinating Council shows that as civil engineers around the world, we are committed to incorporating the principles of sustainability into our infrastructure designs, thereby improving the quality of life for all humanity,” says ASCE President Gregory E. DiLoreto, P.E., P.L.S., D.WRE, F.ASCE. DiLoreto signed the document on behalf of the Society. Specifically, the Jakarta Protocol calls on the civil engineering profession to address the global challenge of sustainable development. To do that, the protocol states that civil engineers must develop new skills for a changing world, foster greater collaboration with other professionals, and promote multidisciplinary approaches. Civil engineers are also committed to providing tools and advice to their governments and policymakers at national and supranational levels on the skills and infrastructure required for a sustainable future. Working with representatives of the World Federation of Engineering Organizations to enable them to effectively influence programs on sustainable infrastructure within UNESCO (United Nations Educational, Scientific and Cultural Organization), the United Nations, the World Bank, international financial institutions, and other bodies. DiLoreto stressed that signing the Jakarta Protocol is consistent with ASCE policy. 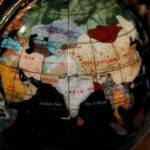 It supports national and international cooperation on sustainability, is in line with achieving the UN Millennium Development Goals of addressing water and food scarcity, and helps actualize the Triennial Conference 2012, at which ASCE, the Institution of Civil Engineers (United Kingdom), and the Canadian Society of Civil Engineers agreed to take the lead in fostering sustainable infrastructure. It also builds upon ASCE’s participation at Rio+20 (United Nations Conference on Sustainable Development) in June 2012. Rio+20 focused on how to build a green economy to achieve sustainable development and how to improve international coordination for this kind of development. 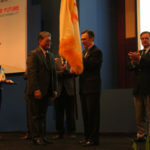 Along with ASCE, the Jakarta Protocol was signed by presidents of the Chinese Institute of Civil and Hydraulic Engineering, Engineers Australia, the Indonesian Society of Civil and Structural Engineers, the Institution of Civil Engineers (India), the Japan Society of Civil Engineers, the Korean Society of Civil Engineers, the Mongolian Association of Civil Engineers, the Philippine Institute of Civil Engineers, and the Vietnam Federation of Civil Engineering Associations, who together form the ACECC.